Our SSS, or Start with Simple Stories is a unique, simple and fun language learning method enjoyed by students of various language levels and social backgrounds. The SSS approach, a new extensive reading method, may not be widely known to English teachers; however the number of motivated learners is steadily growing in Japan, Korea, and Taiwan. Some local TV stations in Japan featured the SSS method in their programs in 2006. Many Japanese teachers, including Natsume Soseki, Matsumoto Toru and Maruyama Masao, emphasized the effect of extensive reading as the royal road to improving language ability. The reading material most English teachers recommend to their students for this purpose is popular fiction, such as Sidney Sheldon’s novels. But these books are actually too difficult for even average university students to read. Most students in university cannot even read books for elementary third graders in English spoken countries. Because Japanese students are accustomed to translating every English sentence into Japanese word by word with extensive use of a dictionary, most of them cannot read a book more than a thousand words in length in a reasonable time. Therefore most Extensive Reading programs at high schools and universities yield limited results. Some English teachers assert that learning English through extensive reading is impossible because there are no easy books suitable for their students, and that the amount of reading required to acquire good English language skills is too much for any student to accomplish. They claim that the grammar translation method is far better than the extensive reading method because the students can understand English sentences fully through Japanese. However, the grammar translation method is the main reason that most Japanese students have not achieved a good ability to speak, write, listen to and read in English. Our SSS method solved the main difficulty in the classical extensive reading method that there are no easy-to-read books for students. In our method, learners start with picture books with a few words on a page. Many learners who start with simple stories can read a large number of books without difficuly, and they can reach the goal of reading one million words in six months to two years. Since elementary school students in English spoken countries read one million words on average per year, and most of the learners in Japan who achieved one million words do so by reading English novels as a hobby, we set the first goal of extensive reading as reading one million words in English. Therefore, our method is often referred to as the “One Million Words Extensive Reading Approach”, or “Hyakumango Tadoku”. Ten years ago, it was almost impossible to get the large quantities of foreign published, easy-to-read books necessary for this approach, but the situation has changed in recent years. Now we can buy a wide range of English paperbacks in Japan at reasonable prices. Even simple picture book series such as Oxford Reading Tree (ORT) and Longman Literacy Land (LLL) have become available in many bookstores in Japan. Many of the SSS readers who started extensive reading with such easy picture books have achieved an ability to read popular paperbacks such as “The Da Vinci Code” in a very short period, ranging from six months to two years. Even students who start to learn English in the first grade of junior high school can read children’s books such as “The Magic Tree House Series” or “Rainbow Magic Series”, in which each book is more than four thousand words in length. Most English teachers in Japan put too much emphasis on looking up difficult words in English-Japanese dictionaries, and ask students to translate every sentence into Japanese. However, excessive use of dictionaries puts too much stress on students and hinders them from leaning English. 3) Stop reading when it is boring or too difficult. In other words, read easy books that you can understand without dictionaries, don’t try to understand the content completely and change to a book　which seems more interesting to you, if necessary. Through this program, many students at high schools, universities, language schools and jukus, or cram schools, have shown significant progress in their language skills. Most English teachers agree that the total amount of English input is one of the keys to acquiring good English skills. However, until now, this was measured mainly by the hours that students studied English. The SSS method is unique in that we measure the amount of input by the total number of words that students read or listen to. By totaling the words and checking the records students keep, teachers can estimate their students’ English level easily and correctly and give appropriate advice according to their individual levels. 1) Start with simple stories and gradually increase the level, length, and difficulty of the books using various titles from Leveled Readers (LR) written for native English speaking children, Graded Readers (GR) written for English learners as a second language, books for children and young adults, picture books and manga. 2) Read books not only at home, but also in the classroom. 3) Record the titles students read, total the number of words they read and give individual advice to students by looking up the records they keep in their logbooks. (ISBN:4902191267), from Cosmopier Publishing Company. I Can Read Books, Puffin Easy-to-Read Readers, R.I.C. Headlight Readers, Rookie Readers, Scholastic Readers, Step Into Reading Readers and many children’s books. Preparation for the class is important when starting a successful extensive reading course. You can see how much English ability your students acquire as they continue their extensive reading for several years. 1) Try to have your Japanese colleagues and boss read “Hyakumango Tadoku Nyumon”(“Extensive Reading for Beginners”, Cosmopier Publishing, ISBN:4902091250), “Kyoshitsu de Yomu Eigo Hyakumango”(“Extensive Reading in the Class Room”, Taishukan, ISBN 4469245046) and “Eigo Tadoku Kanzen Gaido” (“The Complete Book Guide for Extensive Reading”, Cosmopier Publishing, ISBN: 4902091321). They will easily get the idea of the extensive reading approach. You have to get across the idea of the Three Golden Rules for ER, and also YL, which is the “Yomiyasusa Level”, a way of grading the difficulty of books for the Japanese, and also the total number of words the students read. 2) As an instructor, try to read as many very easy books as possible. If you read the same books as your students, you can easily understand if they really read or enjoyed the books after a little conversation with them. The key to the success of the extensive reading program is to build confidence and not to pressure the students. It is very important to encourage them. If you have read a lot of the same books which they read in your class, you can share the joy of having books in common. 3) Make a plan to implement the ER program at your school. It is especially important to decide how many hours you can allot for ER and from what grade you can start. 4) For your first ER program, decide whether to run an ER program in regular classes or selective classes. 5) Make a budget for the ER program. If you have 40 students in the same school period, you need 700 books at least for SSS ER program. 6) Select the book titles and order them. As you know, it can take a long time, if the bookstores do not have ample books in stock. 7) Decide on the assessment process. Extensive reading aims to make reading fun,　and to take the pressure off students. Assessment may work against this. You have to find an appropriate way that is consistent your own assessment and evaluation practices. 8) Observe a successful SSS ER class. There are only a small number of teachers who use the SSS ER program in their classrooms. Observing a class will give you tips for your own class. 9) Make a list of the titles and the number of words in each book. This will help to motivate the students, as some students really want to read every book in a series. 10) Advertise your new program. SSS ER is a new but very powerful way to learn English. It is important to show the students and their parents the utility of SSS ER. Some data is available that shows how effective our SSS ER programs are. I will explain these ten pieces of tip in detail. We already have several ways of grading the difficulty of English readers. The most famous of these for learners of English as a second language is the EPER grading system, which was developed by the Edinburgh Project on Extensive Reading (http://www.ials.ed.ac.uk/eper.html). You can see details in “Extensive Reading in the Classroom” by Richard R. Day and Julian Bamford from Cambridge University Press. The EPER system is a very good one, but it is not well suited to English beginners in Japan. The difference between English and Japanese is larger than the difference between English and other European languages, so it is more difficult for Japanese people to acquire English. Many native speaking English teachers think the Penguin Easystarts series is very easy to read, so they are placed at the lowest EPER level, but they are often too difficult for many students of average English abilities at Japanese universities. We need to define the levels more carefully for English learners in Japan. g) easiness of proper names. YL ranges from 0.0 to 10.0. YL 0.0 indicates the level of picture books without words except for the title on the cover. 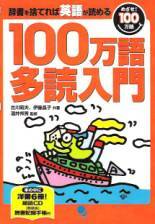 YL 10.0 indicates the difficult books that are not suitable for English learners. For example, Oxford Reading Tree Stage 1+ is YL 0.1 and the YL of Penguin Easystarts is 0.8. Ulysses by James Joyce is YL 10.0. You can look up our YL tables in the reference , “Hyakumango Tadoku Nyumon”(“Extensive Reading for Beginners”, ISBN 4902091250) and “Tadoku Kanzen Gaido” (“The Complete Book Guide for Extensive Reading”, ISBN: 4902091321). Recently Dr. Rob Waring has created another new scale, which is more intuitive than that of EPERs. His new scale will soon appear at http://www.erfoundation.org . You might think children’s books are too boring for the ordinary adult. It is true that most children’s books, especially the books for very young children, are too childish for junior and senior high students and university students, but some of them are really interesting, even for adults. The three best series are the Oxford Reading Tree (ORT) Kipper Series by Roderick Hunt and Alex Brychta from Oxford University Press, the Longman Literacy Land (LLL) Story Street Series by Jenny Alexander and al. from Pearson Education and the I Can Read Book (ICR) Frog and Toad Series by Arnold Lobel from Harper Trophy. These books are very easy to read and even learners who have studied English only for a few hours in junior high school can read some of them with the help of a CD. If you read them, you will rediscover how fun and easy it is to share the joy of reading with your students. ORT and LLL, which are originally published for British elementary schools, are series in which the same characters appear in each book, so although each book is very simple, the whole series creates a big imaginary world. In Japan, series like these can be enjoyed not only by very young English learners, but also by adult learners. The Frog and Toad Series is written in very plain English but the heartwarming pictures are very moving for both young readers and adult readers all over the world. Some books have been translated into Japanese, and many Japanese people know the storylines, which help them read more confidently. 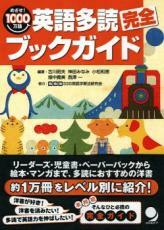 Other ICR books such as the Biscuit Series are also enjoyed by Japanese learners. 3) What type of ER Program should you select? It is widely believed that students should learn English from English teachers in class, and that they should read books not in the class, but at home. Therefore, the students perform the ER program as homework or as an extra curricular activity. But in our experience, we have found that carrying out the ER program in the class has many advantages. a) Teachers can observe the students reading their books. They can give specific advice to each student. b) Students have little time to read at home, as they are busy with homework from other subjects. Some students even cheat in their reading log when they do not have time to read at home. Reading in class ensures all students meet the program’s requirements and do not fall behind other students. c) Students can talk about books they have read and share the joy of reading. Many teachers who adapt the SSS ER methods share the joy of improved English ability with their students. 4) Regular Class or Elective Class? The ER program requires a lot of books. Even the classical ER program needs at least four books per student. Since our new SSS ER program starts with very simple stories, it requires a lot of easy books from YL 0.1 to YL 2.5. To start a successful SSS ER program, you need at least 500 very easy picture books with YL less than 1.0, because you need at least one copy of ORT series from Stage 1 to Stage 9 (160 titles), LLL Story Street series (120 titles), Step into Reading series from level 1 to level 2 (60 titles), I Can Read Books series from level 0 to level 2 (80 titles), Penguin Readers Easystarts series (30 titles) and Oxford Bookworms Starter series (20 titles). Since most students will reach YL 2.5 or more in a year, you need more books with YL from 1.0 to 4.0 for the advanced students. See the table in reference . That shows the relation between YL and the total number of words that a student has read. SSS ER program helps you estimate the approximate number of books you need as follows. Let's assume that you have thirty 45 minute ER lessons in a year, and let x be the number of students taking the ER course in the same school period. Your SSS ER program requires at least 500+5x books approximately. That means if you have 40 students in the same school period, you need 500+200=700 books at least. The price of each book is \600 on average, so you need \420,000 to set up an SSS ER program if the number of students in your class is 40. If you recommend that students borrow several books from the ER library at a time, the minimum number of books is 500+5x+10y, where y is the total number of students in your ER program. If your ER lesson is 90 minutes a week, the minimum number of books is 500+10x or 500+10x+10y. Therefore I strongly advise you put the ER program in an elective class at first. If you would like to introduce the ER program in every regular class, you should start with a twenty to thirty minute ER program. There will be various learning styles among your students. Some will need a lot of very easy-to-read books, while others will need more difficult books such as Penguin Readers Level 5 to 6 or Holes by Louis Sachar. Therefore, if you want to start a full ER program for your whole class, you should prepare a large number and wide variety of books. Drawing up a budget for the ER is a fundamental and essential step. When starting a successful ER program, it is better to get an extra budget over and above your ordinary budget. University employees are eligible for a Scientific Research Grant from the Ministry of Education and Science. For public junior or senior high teachers, the head teacher of your school or school librarian may help you. No matter how little your students currently utilize the library, there is a potential that a great many will join the Extensive Reading program, so getting the librarians involved in the ER is strongly recommended. For private school teachers, it is easier to get a budget if you persuade your head teachers. Schools often ask the students for pay a small fee for the ER. Many teachers who set up ER programs collect approximately \2,000 per year from each student. To convince the head of school, explain the effects and good points of ER thoroughly. The better he or she understands ER, the better your chance of success. Many English teachers have a tendency to select books which are at a higher level than their students’ true levels. It is also widely believed that there should be only one copy of every title when the budget is limited. a) Try to select easier books than you think is appropriate, because most of your students have not been trained to read English books without a dictionary. b) Choose books by asking for information about popular books from teachers who have already started successful ER programs. c) For popular books, place an order for two or three copies each so that the students can enjoy reading simultaneously and exchange ideas immediately after reading. This will highly enhance the motivation of the students and also build confidence in their English reading. Confidence and praise are keys to English learning. Book selection is important in running an ER program successfully. You should be the first one to try out the easy-to-read books. If you need any help, please feel free to ask an extensive reading consultant in an ELT bookstore. Join the Extensive Reading Association (ERA, http://www.seg.co.jp/era/ ), and get advice from its members and also borrow books for ER from ERA. If we emphasize the amount of reading too much, students are apt to cheat in their book log, so it is desirable to assess their English ability independently from the book log. Some teachers use comprehension tests, cloze tests, or tests from outside the school, such as TOEIC, SLEP, and ACE. 8) Observe a Successful SSS ER Class. Extensive reading in the classroom, especially our SSS ER method, is the newest way of teaching English. Only a few teachers conduct English classes through the SSS ER method. Teaching English language through the ER program is radically different from the traditional way of teaching. The students learn English mainly through reading. What the teachers do in the class is give advice, choose the appropriate books and so on, so observing the class will give you tips for your class. You can get more information about teachers who teach English through the SSS ER method by e-mailing the Extensive Reading Association at era-jimu@seg.co.jp. You can also consult “The Complete Book Guide For Extensive Reading” or “The Notebook for Extensive Reading”(The Orange Book). 10) Advertise Your New Program. Our SSS ER method is a new but a very powerful way to learn English. Students should understand the significance of ER, and the cooperation of parents is desirable. Data shows how effective our SSS ER is. For more information, please refer to: Professor Nishizawa at Department of Electrical Engineering at Toyota Technical College (nisizawa@toyota-ct.ac.jp), Professor Sakai at English Department at the University of Electro-Communications and Dr. Takase at English Department of Kansai University. This brochure outlines an effective way to promote your ER program and bring you success in English teaching. Behind every masterpiece there is great endeavor and struggle. The reformation of English teaching in Japan is up to you, and if you believe you can do it, we can help. Let us ring the bell of success together. Table: YL Table for Children’s Books and Graded Readers. Data: Relation between YL and The Total Number of Words that a Student Have Read..
[4 ] Sample: A book log Excel file by an adult learner. Sample: A copy of a sheet of the first page of a book log by a junior-high school student. Day, R. and J. Bamford, (1988). Extensive Reading in the Second Language Classroom. Cambridge, U.K.:Cambridge University Press. Furukawa, A. (2002). Toward One Million Words Pocket Book, (Dokusho Kiroku Techou in Japanese) . Tokyo: Cosmopier Publishing. Furukawa, A. and M. Mariko (2003). Let's Start One Million Words Extensive Reading From Today, (Kyokara Yomimasu Eigo Hyakumango in Japanese) .Tokyo: Nihon Jitsugyou Shuppan. Furukawa, A. and S. Itoh, (2004). Extensive Reading Towords One Million English Word for Parents and Children, (Oyako de Hajimeru Eigo Hyakumango in Japanese) . Tokyo: Nihon Jitsugyou Shuppan. Furukawa, A. and S. Itoh, (2005). Toward One Million Words for Beginners, (Hyakumango Tadoku Nyumon in Japanese) . Tokyo: Cosmopier Publishing. Furukawa, A. and al, (2005). The Complete Book Guide for Extensive Reading, (Eigo Tadoku Kanzen Bukkugaido in Japanese) . Tokyo: Cosmopier Publishing. Maruyama, M. (1949). Some Pieces of Advice About Study, (Bengaku ni Tsuite no Ni-san no Jogen in Japanese). Tokyo: Misuzu Shobou. Matsumoto, T.(1965). A New Way to Learn English, (Eigo no Atarashii Manaabikata in Japanese). Tokyo: Kodansha. Natsume, S.(1906). Modern Reading Method ,Gendai Dokushohou in Japanese. Yumani Shobou.Sakai, K. (2002) Towards One Million Words and Beyond, (Kaidoku Hyakumango in Japanese). Tokyo: Chikuma Shobo. Sakai, K. and M. Kanda, (2005). Extensive Reading in the Classroom, (Kyoshitsu de Yomu Eigo Hyakumango in Japanese). Tokyo: Taishukan Shoten. Mr. Furukawa, president of SEG juku school in Tokyo, teaches mathematics to high school students and English to junior high school students. He published several books on ER. He runs a website on SSS ER (http://ww.seg.co.jp/sss/) , a book club for adult people, and a book store for ER (http://www.seg.co.jp/bookshop). Professor Sakai and he established SSS Extensive Reading Study Group in 2001 and Extensive Reading Association in 2004. I thank all of the following people who gave me useful advice and information. Dr. Rob Waring, Dr. Takase Atusko, Ms. Kanda Minami, Ms. Mayuzumi Michiko, Ms. Hatanaka Takami, Mr. Sakai Kunihide and Ms. Eunice I. Miyashita.